Microplastics – tiny pieces of plastic from the breakdown of everything from shopping bags to car tyres – were detected in nine of 17 water samples collected off the Antarctic peninsula by a Greenpeace vessel earlier this year, it said. Seven of nine snow samples taken on land in Antarctica found chemicals known as PFAs (polyfluorinated alkylated substances), which are used in industrial products and can harm wildlife. “We may think of the Antarctic as a remote and pristine wilderness,” Frida Bengtsson of Greenpeace’s Protect the Antarctic campaign said in a statement about the findings. “But from pollution and climate change to industrial krill fishing, humanity’s footprint is clear,” she said. The United Nations’ environment agency says plastic pollution has been detected from the Arctic to Antarctica and in remote places, including the Mariana Trench, the deepest part of the world’s oceans in the Pacific. On Tuesday, it said that less than one tenth of all the plastic made has been recycled, and governments should consider banning or taxing single-use bags or food containers to stem a tide of pollution. 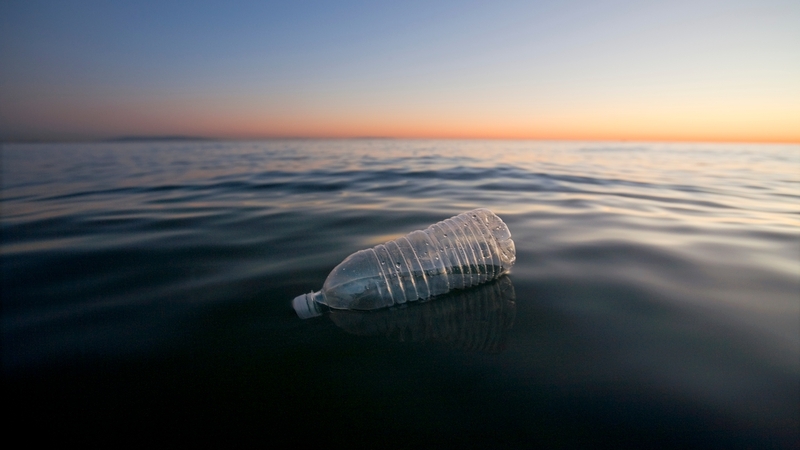 Biologist Grant Oakes said: “Plastics invariably end up in the oceans for a multitude of ways. Single-use plastic is accounting for 70-80% of the plastic that ends up in the oceans. Last year, researchers at the University of Hull and the British Antarctic Survey found that levels of microplastic in Antarctica were five times higher than expected, only counting local sources such as research stations and ships. This means that the pollution is crossing the Southern Ocean, often considered as a barrier to man-made pollution. Scientists say the long-term impacts on marine life are unknown. On the other side of the world, researchers in Germany reported in April that sea ice floating on the Arctic Ocean contains large amounts of plastic waste, which could be released as the ice thins because of global warming. “Plastic stays around for hundreds of years,” said author Ilka Peeken of the Alfred Wegener Institute for Polar and Marine Research. In trying to understand the spread of pollution, she said that new areas for research could include how far tiny bits of plastic are getting blown on winds to the Arctic and how much is swept by ocean currents.